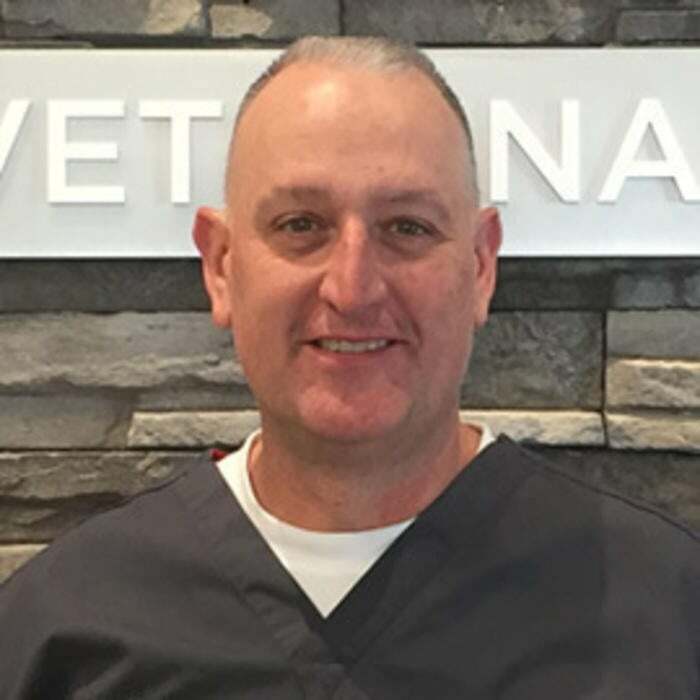 Dr. Thomazin is a 1991 graduate of Kansas State University and had previously been a veterinarian at the Animal Hospital of Newport Hills since 1993. Professional interests include general surgery, with an emphasis on orthopedics, as well as oncology and geriatric medicine. Dr. Thomazin and his wife Suzi have three daughters who keep them very busy at home. Pets include a black lab Chester, a golden retriever Jazzmine, “D” a polydactyl cat, Wilbur a Chelan Walmart parking lot "free" kitten and Elsa an abandoned stray. The girls also have 3 bunnies and 3 guinea pigs, it is possible there are others that Dr. Thomazin is not aware of. Dr. T. enjoys restoring old cars in his free time. Dr. Bennett grew up on a small farm in Port Angeles Washington. She completed her undergraduate degree at Washington State University receiving a bachelors of science in zoology. 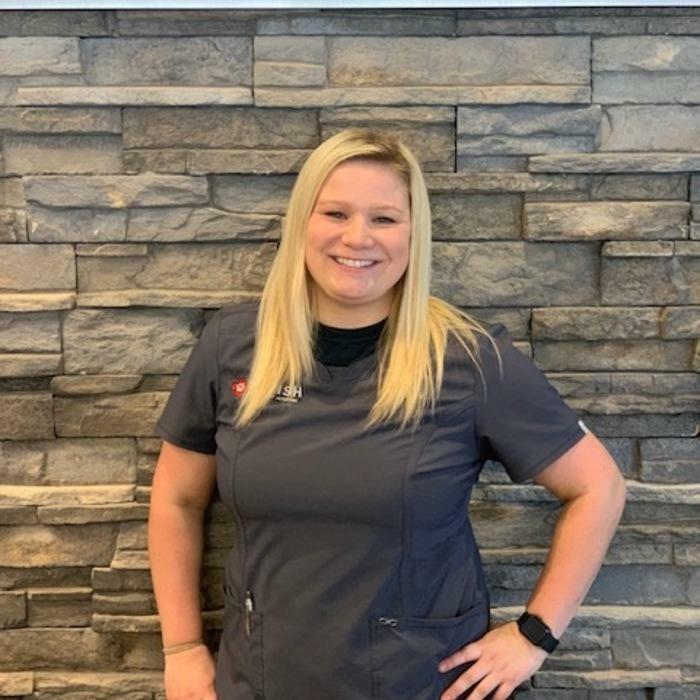 She was accepted to the Oregon State University College of Veterinary Medicine and graduated in 2015. 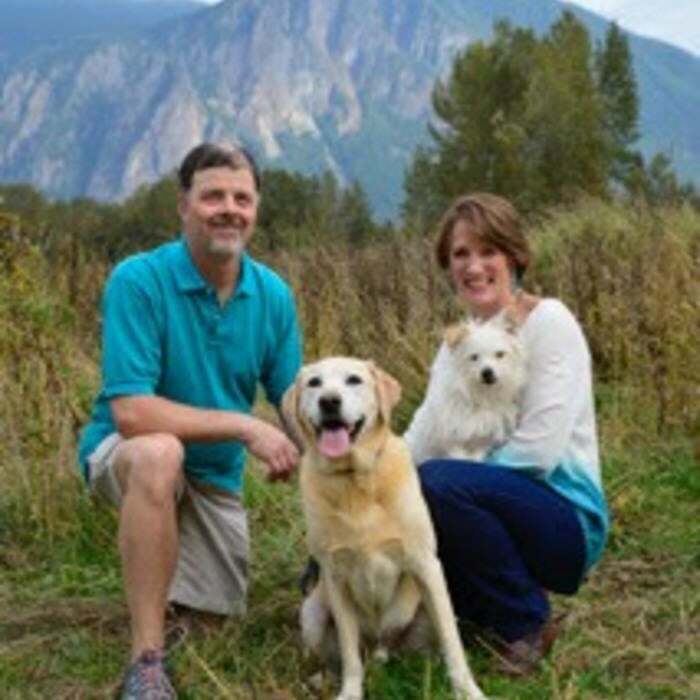 Dr. Bennett’s medical interests include cardiology, theriogenology, and shelter medicine. Dr. Bennett and her husband live on a small urban farm with their chickens, guinea pigs, cats (Murmur and Theodore), and corgis (James and Bella). Besides collecting animals, she enjoys traveling and a variety of outdoor activities. Shan Rosenkranz grew up just north of Minneapolis/St. Paul, Minnesota. She received her bachelor's degree in chemistry from Moorhead State University in 1993. She graduated from the University of Minnesota Veterinary College in 1997. She worked for 8 years in the Twin Cities before moving to Washington in 2006. She then joined the Animal Hospital of Newport Hills for 13 years. Interests include preventative medicine, internal medicine(including renal disease, immune-mediated and endocrine disease) and oncology. She and her husband Gary moved to North Bend in 2013. They love living in the valley and getting to know the community. They share their home with a yellow lab “Scout”, a rescue terrier “Monkey” and a rescue cat “Dewey”. 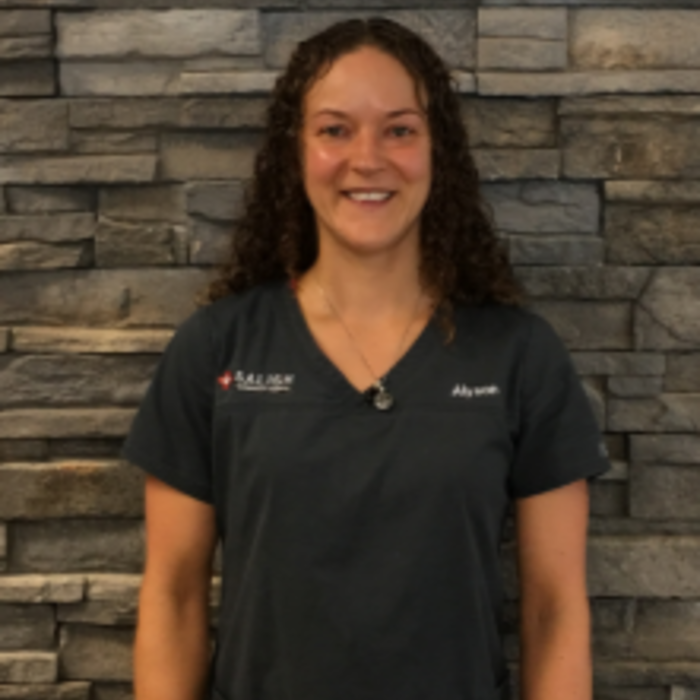 Shan enjoys running, hiking and cross-country skiing as well as traveling. 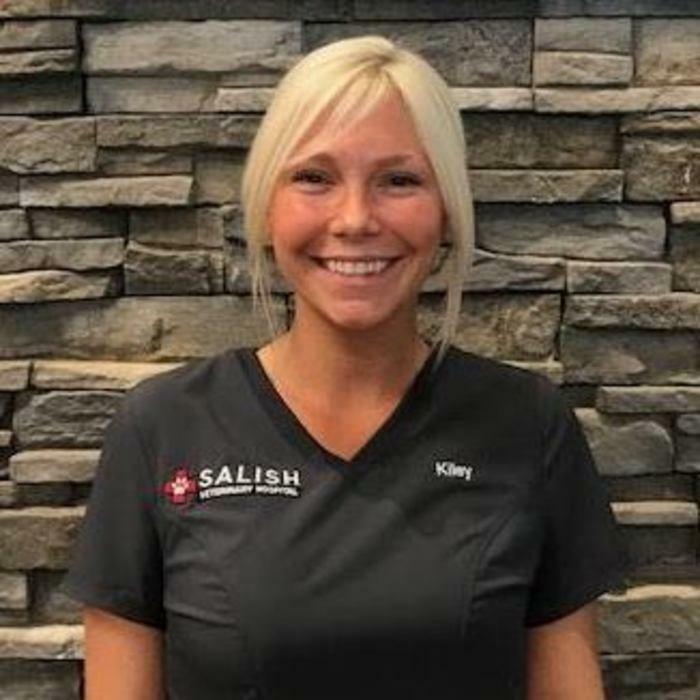 She is thrilled to be joining the staff at Salish. 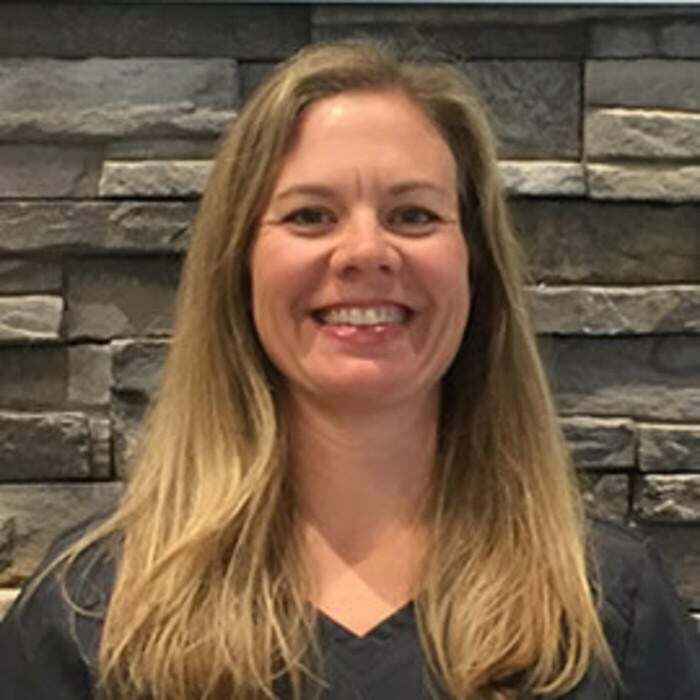 Jenny our office manager has over 20 years of experience in the veterinary field. 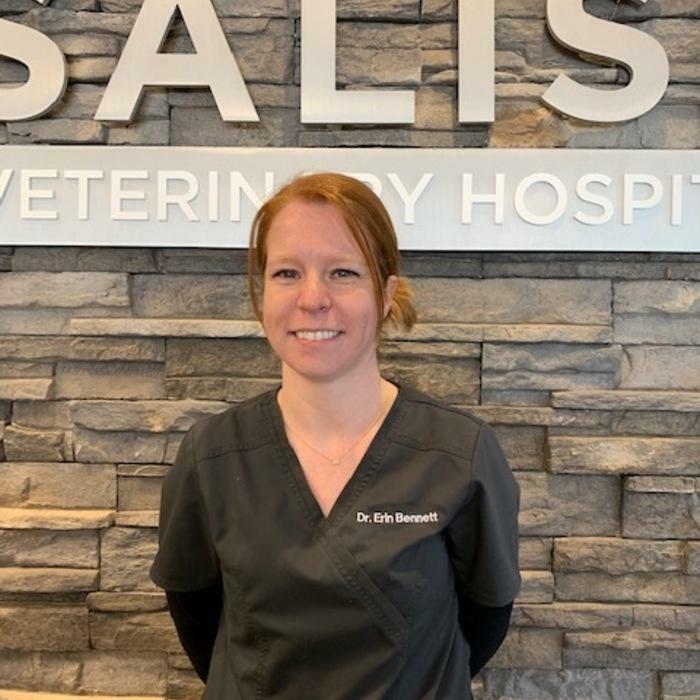 She has worked many of those years with Dr.Thomazin, Dr. Brown and the rest of the Salish Veterinary staff at a previous hospital. She lives in Renton with her husband and daughter. Her pets include 2 yellow labs, a boxer/pit mix, a domestic short hair cat and her daughter has several small reptiles and amphibians. Jenny’s outside interests include anything culinary, hiking and cars. I have worked in the field for 5 years and ever since I started I felt like this is what I was meant to do. Helping sick animals get well and being able to witness a young dog or cat’s journey to adulthood is very rewarding. I recently graduated from San Juan College Veterinary Technician program with an AAS in Veterinary Technology. I live in West Seattle with my 2 dogs Boots and Turbo who love being outdoors. In my free time, I like hiking, running and playing with my nieces as much as possible. Liz is an LVT that works primarily with our surgical and hospitalized patients. 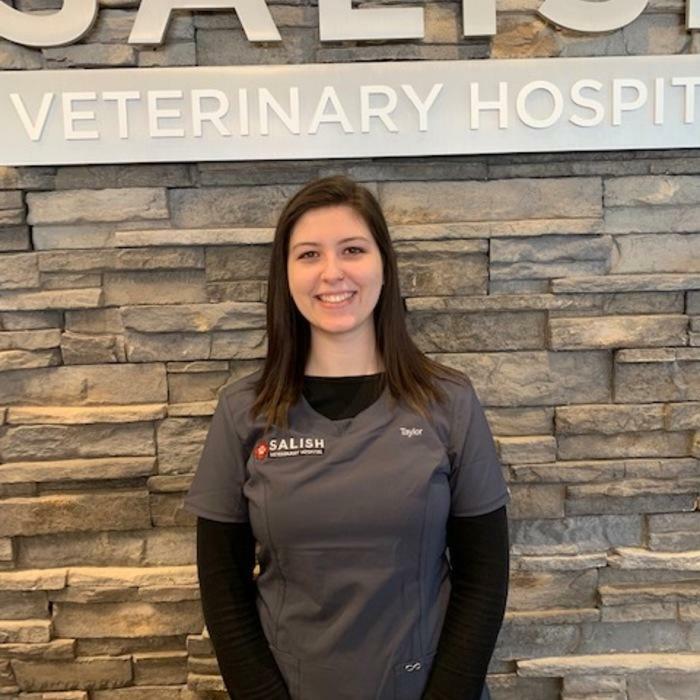 She has been at Salish since October of 2018, and in the veterinary medicine field since 2011. She obtained her Washington State license after completing the technician program at Pima Medical Institute in Seattle. She lives in the North Bend area and spends most of her free time creating visual art with a wide variety of media. 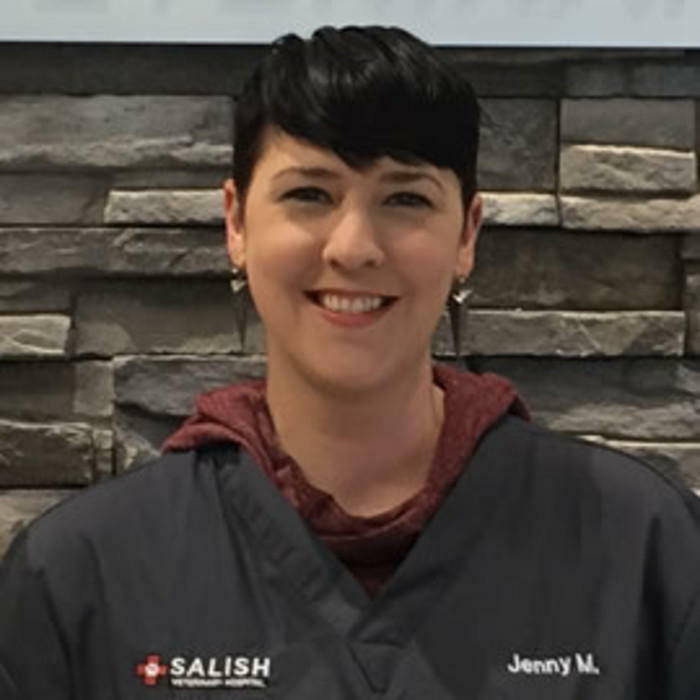 Jenny has been working as a Veterinary Assistant for over 15 years. She lives in Maple Valley with her husband and their 6-year-old daughter and 3-year-old son. They share their home with 2 dogs – a long-haired Dachshund named “Lola” and a Golden Retriever mix named “Remi” that she rescued after a long hospitalization due to parvovirus. She also has a cat named “Shortie” who her daughter carries around the house on a daily basis. 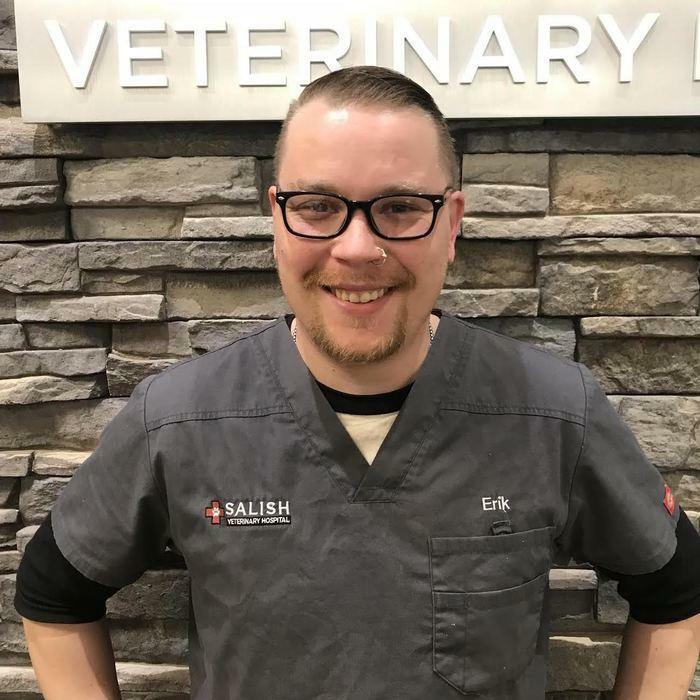 Erik has been working with the staff at Salish Veterinary Hospital for over a decade. He plays guitar in a local band that frequents the Snoqualmie area. He owns a cattle dog named Hoti and a husky mix named Ruger along with his cat Don Pancho. 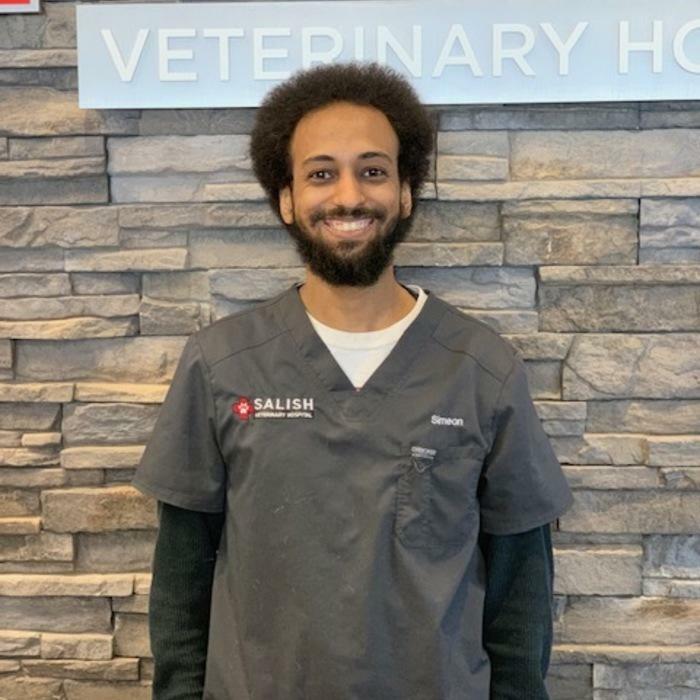 Erik loves working with animals and enjoys providing a calm and safe experience for the extra nervous or stressed patients. 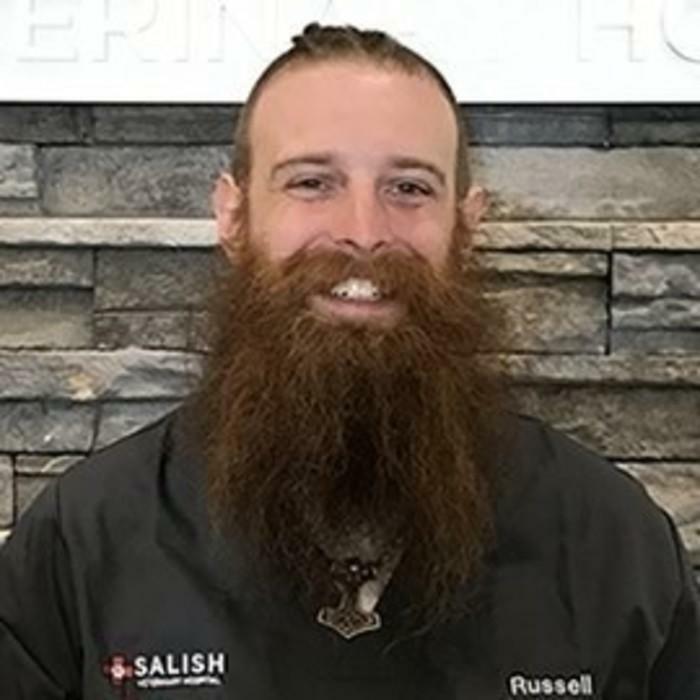 Russell has been working in the veterinary industry for 16 years and with the Salish Veterinary Staff for over 10 years. In the past he has spent much time volunteering at PAWS Wildlife Rehab Center. He and his wife Bethany own 2 Persian cats Chippy and Stinky. Russell plays bass in a band that frequently plays around the Snoqualmie and Puget Sound area. He loves nature, camping, riding motorcycles, playing music and taking care of animals. Simeon has been working as a veterinary assistant for 9 years. 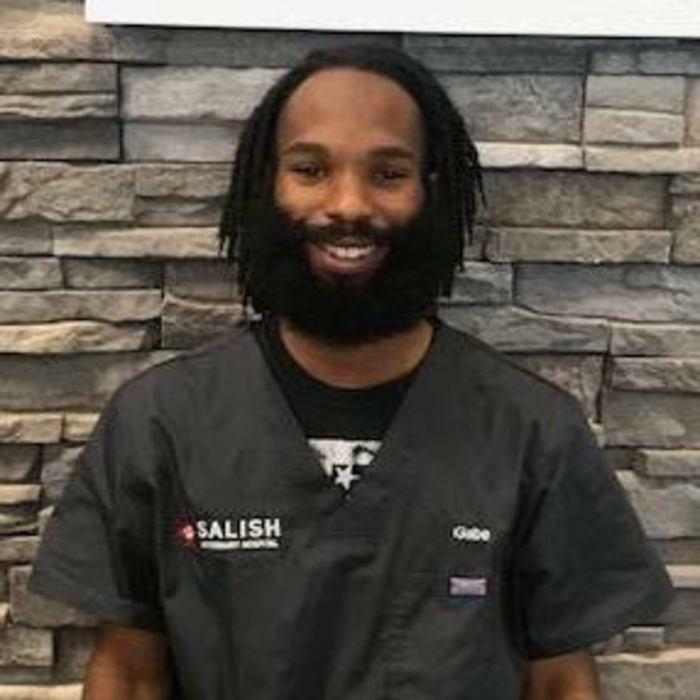 He has spent all of those years training and working with the current staff of Salish Veterinary Hospital. In his free time he enjoys playing basketball working out and spending time with his English Bulldog named Charlie. Gabriel (in his own words) is a music loving, tree and rock climbing, microphone wrecking master of ceremonies. He has lived most of his life in the Seattle area, and a small part in North Carolina. He loves all types of music, but especially enjoys soul, blues and hip hop. He plays bass and piano and writes music, as well as producing beats and other musical arrangements. In his free time when he is not playing shows and making music, he is with his girlfriend Kala and their German Shepherd mix named King Zulu. Jacqui grew up in Fall City and has always had a passion for animals. 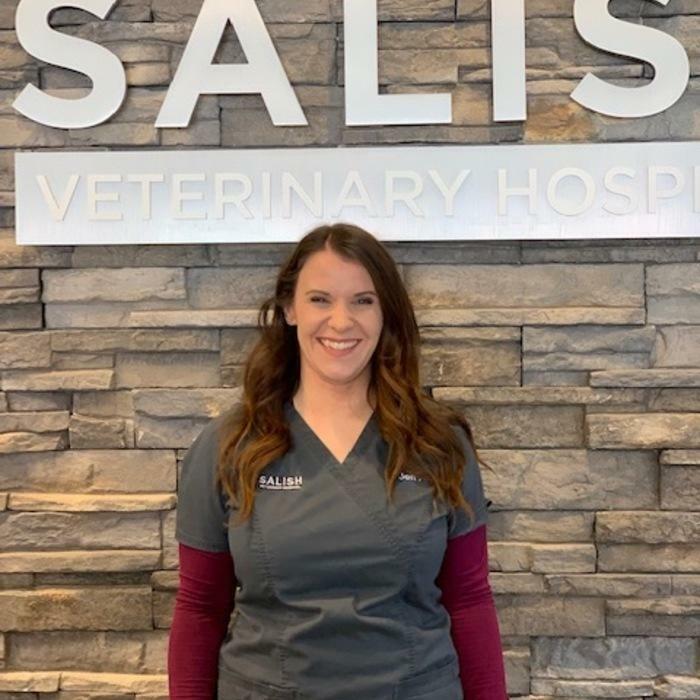 She received her certificate of Veterinary Assistant from Pima Medical Institute and became part of the Salish team in December 2018. In her free time, she does photography for the Seattle Sounders and loves hiking with her chocolate lab named Sky, horseback riding and playing soccer. Taylor is from Virginia but has spent most of her adult life in Washington state. Her family has an adorable husky mix named Josie that she loves to spend time with when she is visiting home. 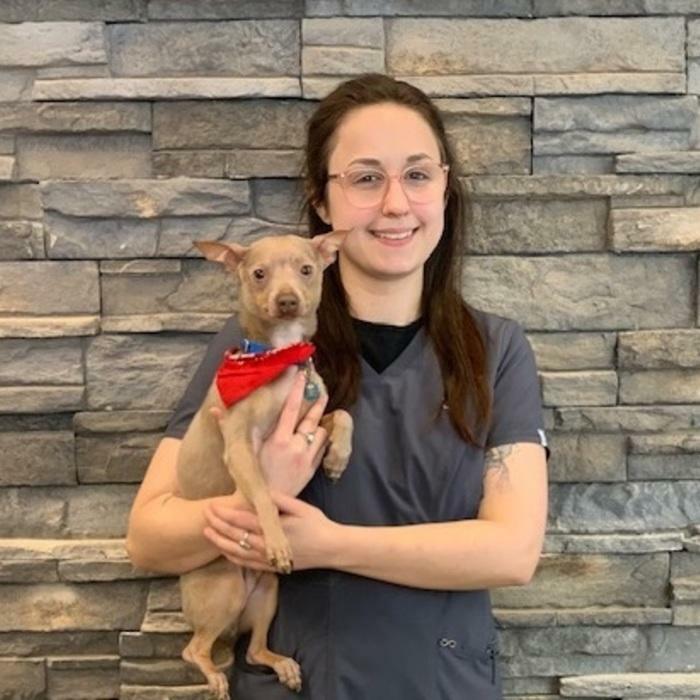 She loves all animals, and will be starting school to obtain her veterinary technician license. Her goal is to one day work as a technician at a zoo. In her spare time, she coaches lacrosse for 3rd and 4th grade girls.